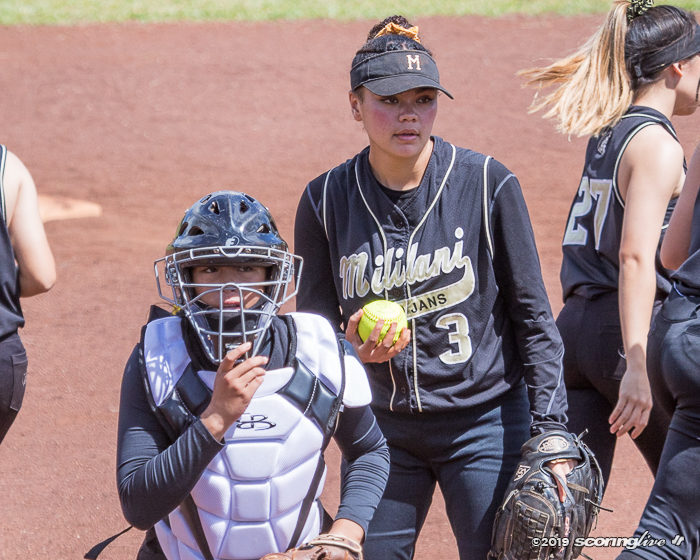 MILILANI — Serenity Jackson scattered eight hits over 6 2/3 innings pitched and Mililani sent 15 batters to the plate in a 10-run fourth inning en route to an 11-3 win over visiting Leilehua on a picture perfect Saturday morning in Central Oahu. 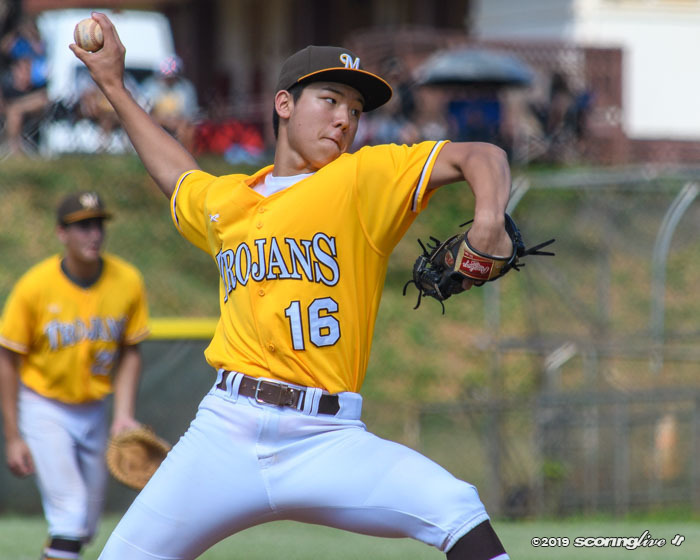 Eight different batters recorded a hit for the Trojans, who improved to 2-0 in the Oahu Interscholastic Association Division I West standings. The Mules, who are coming off their first state championship in program history last season, fell to 1-1. 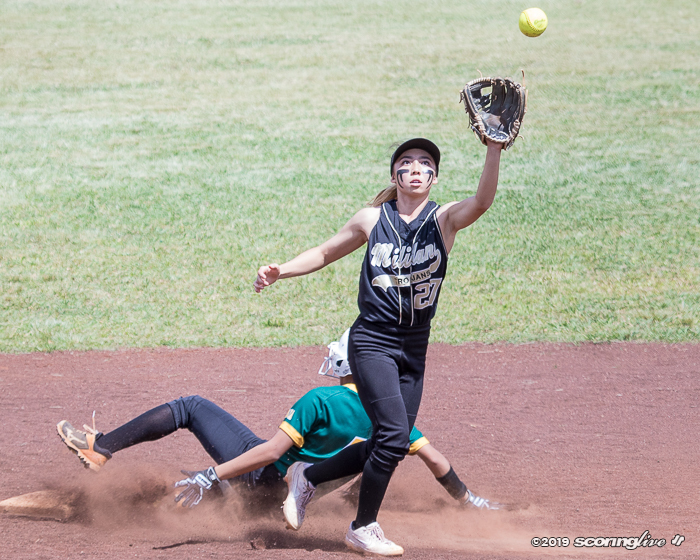 On their way to that state crown, the Mules handed their geographic rival a 13-0 drubbing in the semifinal round. The Trojans flipped the script this time around. 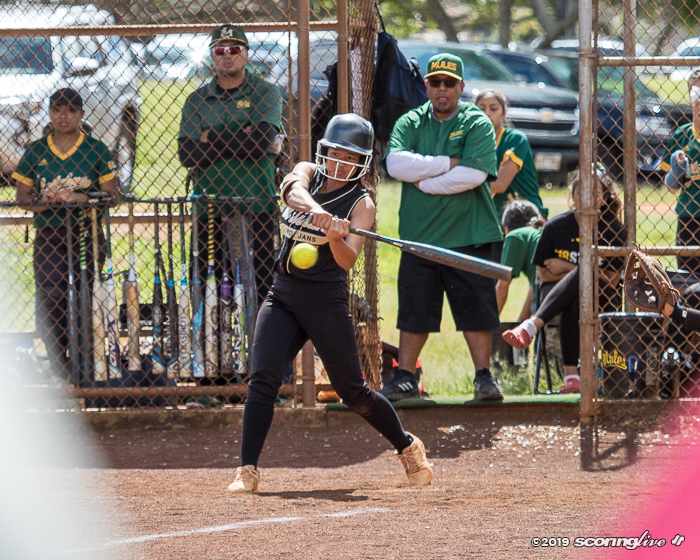 Leilehua took an early lead on a one-out solo home run by Jacelyn "Lovey" Kepaa in the top of the second inning. 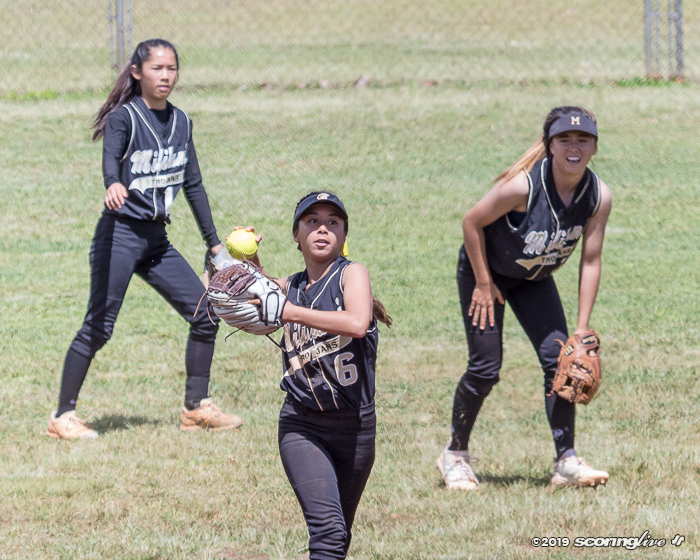 Mililani stranded five base runners in the first three frames before it got the first three batters on base in the bottom of the fourth. 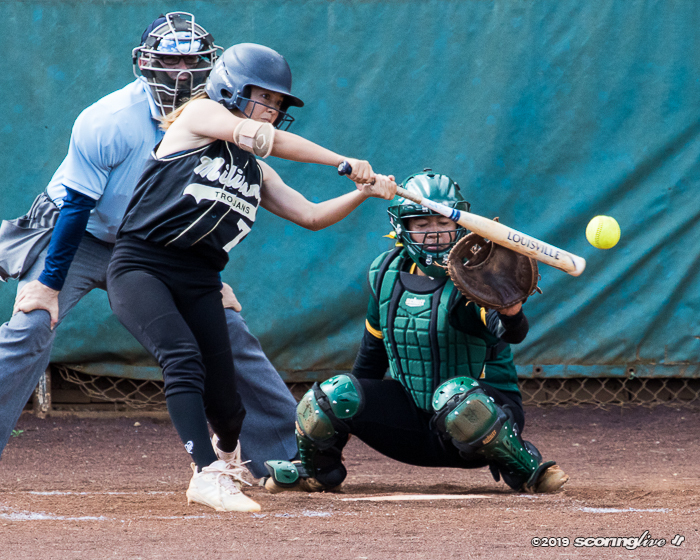 Pinch hitter Cassidy Worzalla's sacrifice fly to center field allowed Jordan Okumura to score the tying run from third. 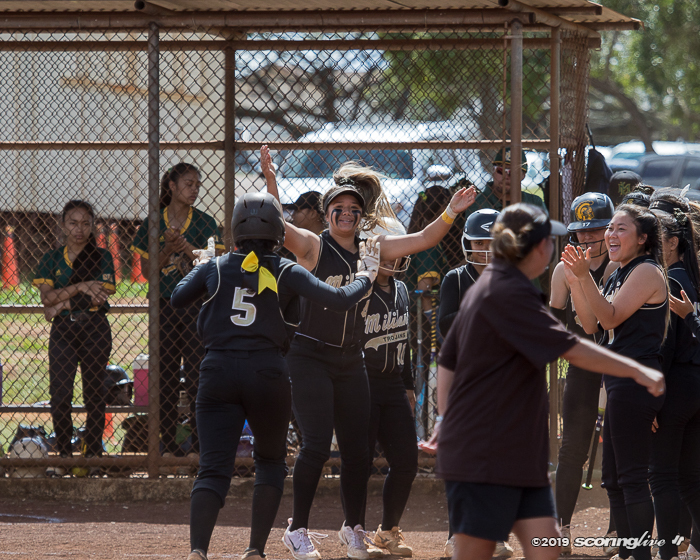 However, the ensuing throw from Mules center fielder Mikayla Pinera got away from third baseman Kiana Domingo and went into the Mililani dugout, allowing Kaena Coleman to score the go-ahead run and courtesy runner Jazlyn Dumlao to advance to third. 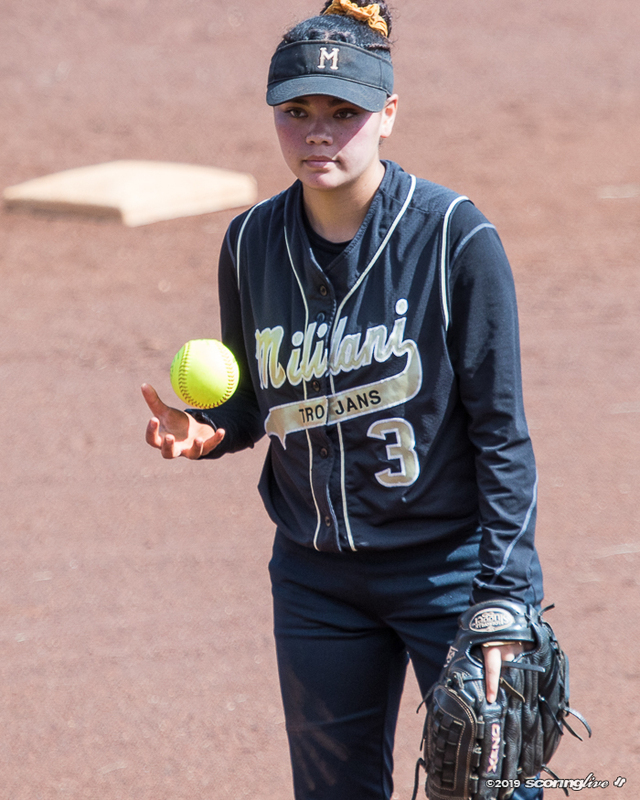 Dumlao eventually scored when Katie Carlos drew a two-out bases-loaded walk to make it a 3-1 lead for the Trojans. 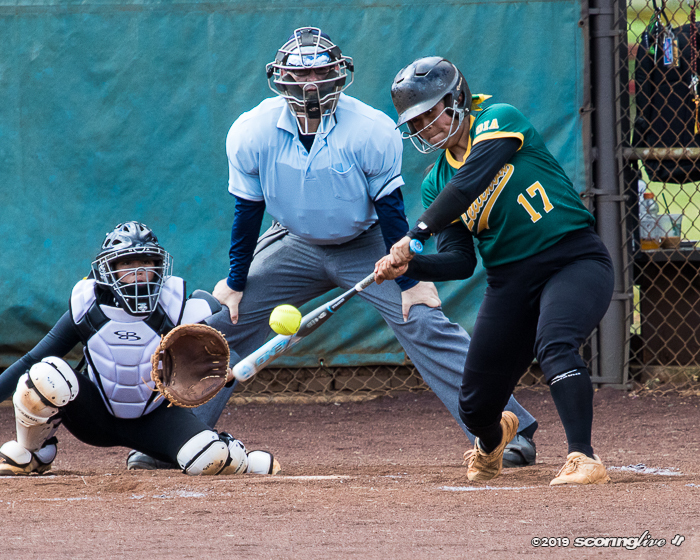 "The kids settled down and they started to look for their pitches and started hitting, so putting the ball in play, that's all we ask for," Trojans coach Rose Antonio said. 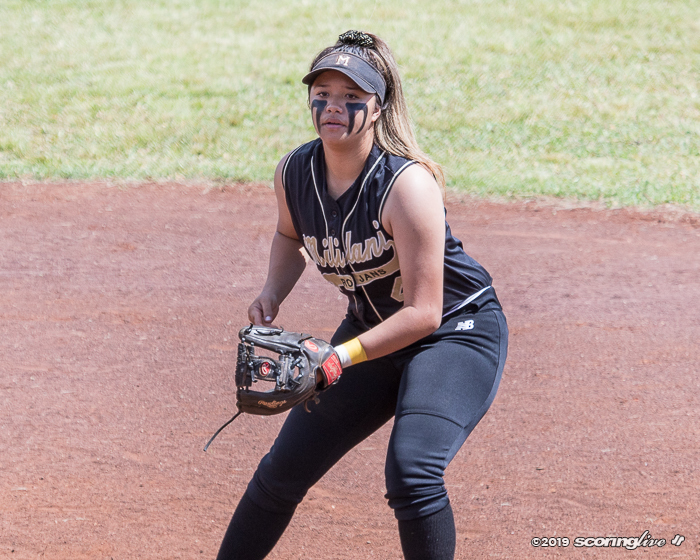 Two more runs scored in the frame after a fly ball off the bat of Kobe Brown was dropped in center field and two batters later, pinch hitter Jordyn Rosario drove in another pair of runs with her single to left to stretch it to a 7-1 lead. Trojans sent 15 batters to the plate and scored 10 runs on five hits in the bottom of the fourth. They were aided by two costly Mules' errors. 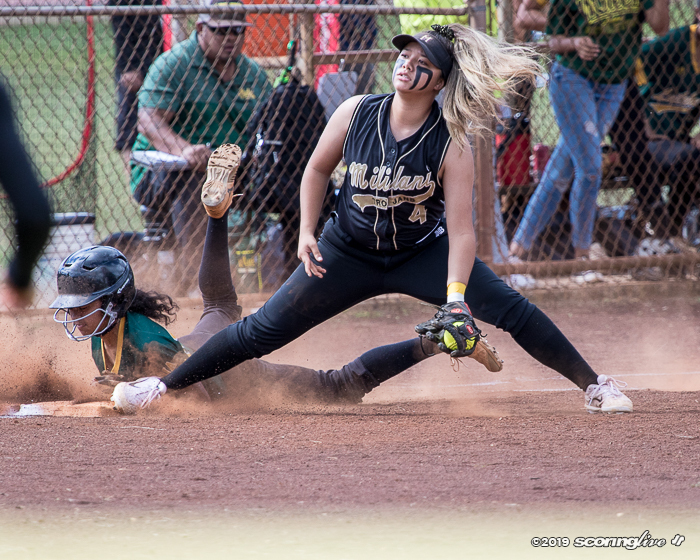 Mililani 10, Leilehua 1. Mid 5th. 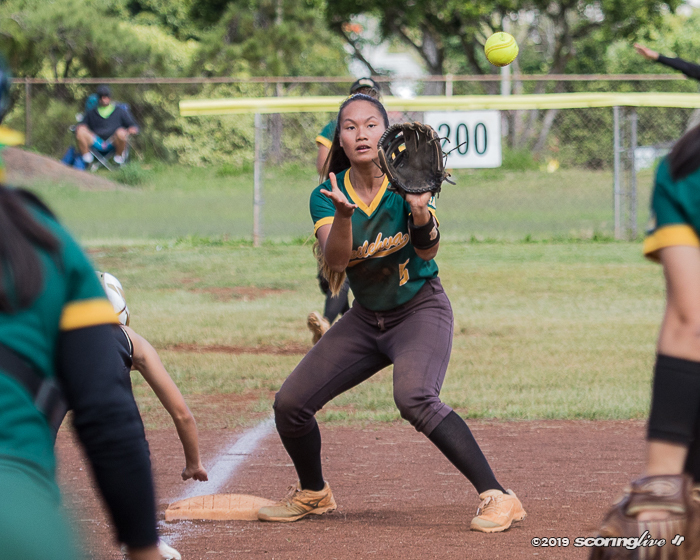 The ensuing batter, Tia Dumlao, then worked the count to 3-1 before turning on an inside pitch that hugged the left field line before going over the outfield fence for a three-run home run. 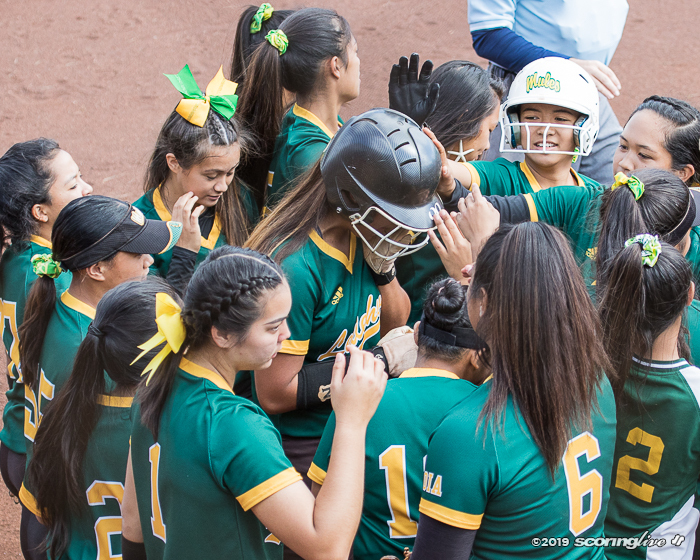 "When I was looking at that pitch, I honestly just wanted to make contact because the last pitch was a called strike and once I looked down and hit the ball I didn't know it was gonna go over and I just kept on running," said Tia Dumlao, whose shot extended her team's lead to 10-1 and chased Leilehua starting pitcher Alyssa Abe from the game. Abe was tagged for eight hits and saddled with the loss. 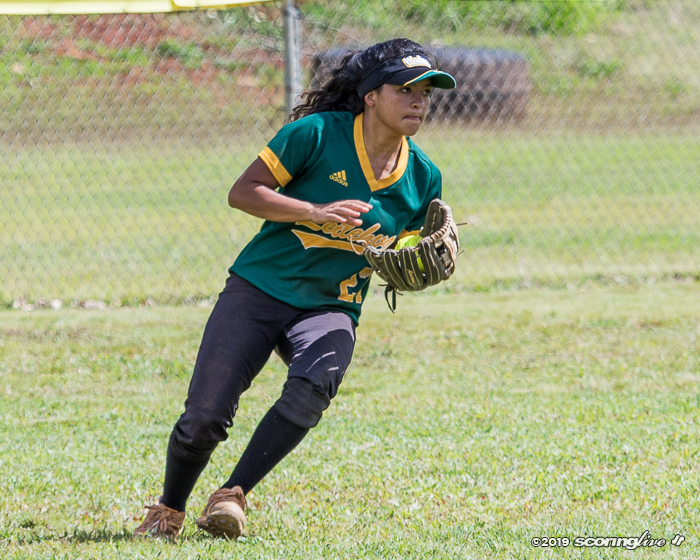 She struck out three and walked six, but only one of the 10 runs she was charged with were earned. 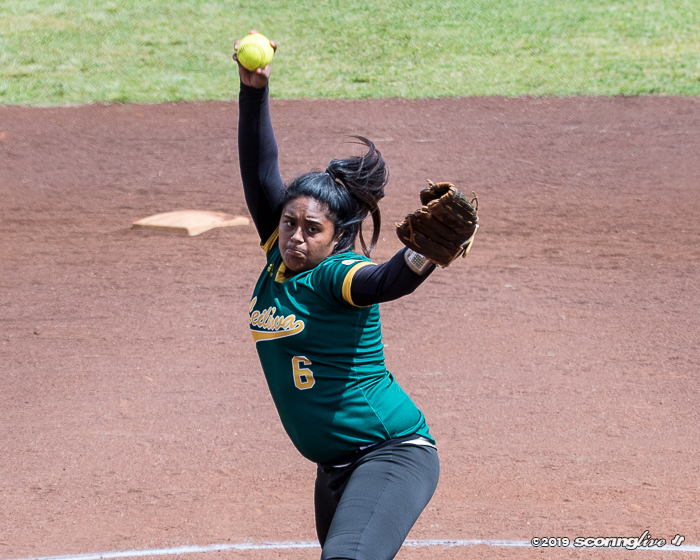 The Mules committed three errors in all Saturday, which led to 10 unearned runs by Mililani. 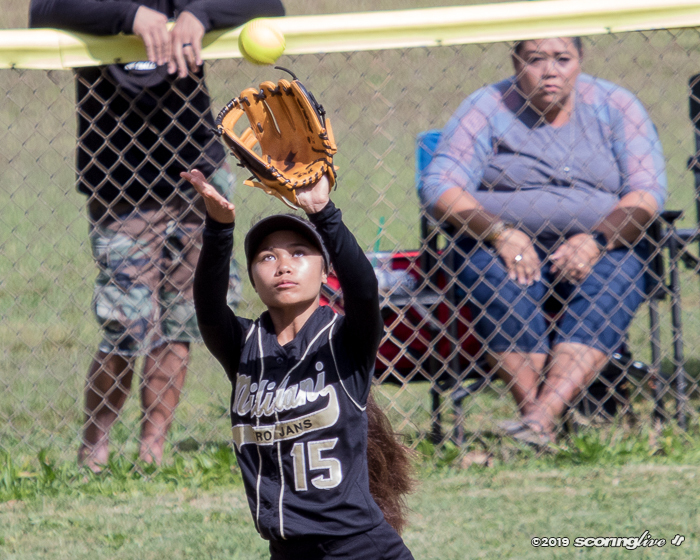 Consequently, the Trojans' lone error did not cost them — a stark contrast from Tuesday, when they committed five errors in a wild 14-13 win at Pearl City in their season opener. 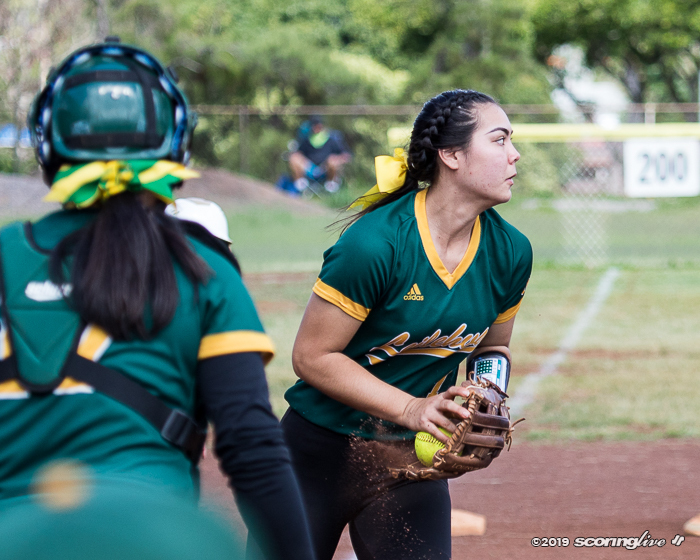 "We worked on it during practice to get our defense tight and it was good that it came out strong, stronger than it came did (Tuesday), which was a good improvement," said Jackson, who benefitted from a couple of heady plays by Iolani-transfer Rylee Nishimoto at shortstop Saturday. 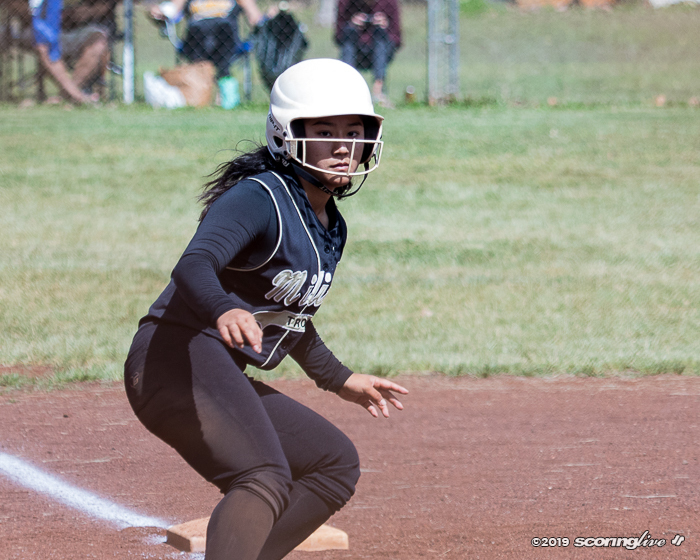 In the top of the fourth, the Mules had runners at first and second with one out, but Jackson got Amber Oducado to line out to Nishimoto, who then threw behind the lead base runner to second baseman Cherise Mori to complete the inning-ending double play. 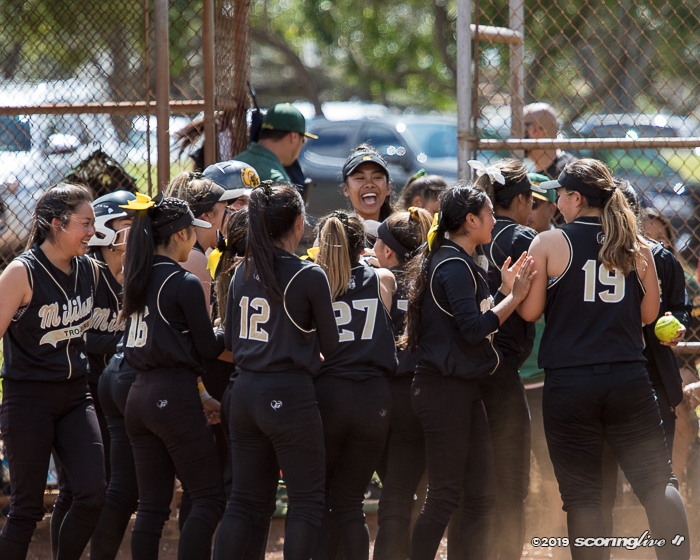 "That was exciting," said Jackson, who stranded nine Leilehua runners in all. "It was just exciting and it's good to know that your teammates have your back to get you out of situations like that." 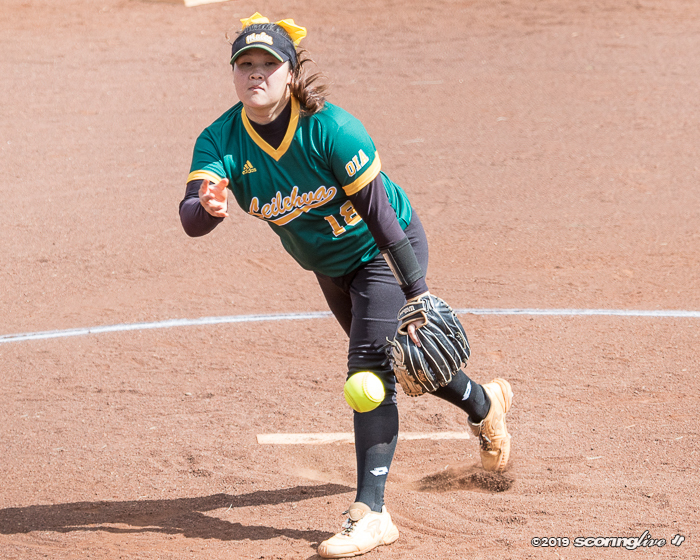 After getting the first two batters to fly out to start the top of the fifth inning, Jackson hit Alyssa Asuncion with a pitch and then mishandled a ball off the bat of Gianna Araki to put two runners aboard. 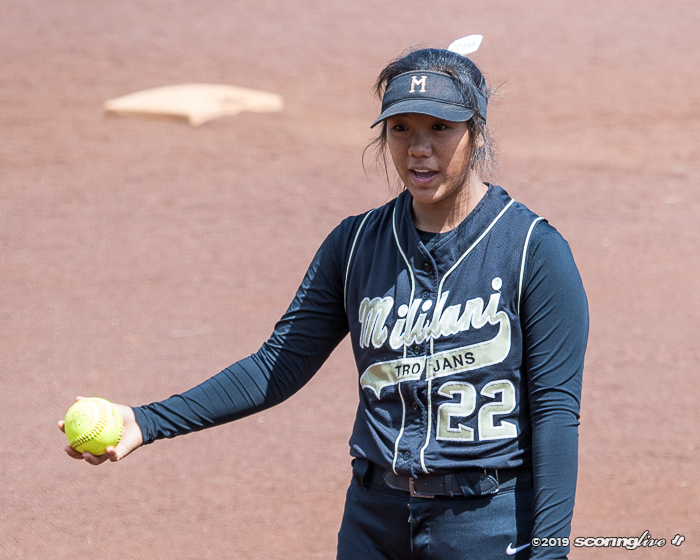 However, Nishimoto made a retreating basket catch in short left field to retire the next batter, clean-up hitter Alana Jarra-Parker, to get Jackson out of the jam. "Defense took care of the ball today and that was really helpful. Defense, I'm really happy today about their performance," Antonio said. Jackson, a junior right-hander, walked two and struck out two to get the win. 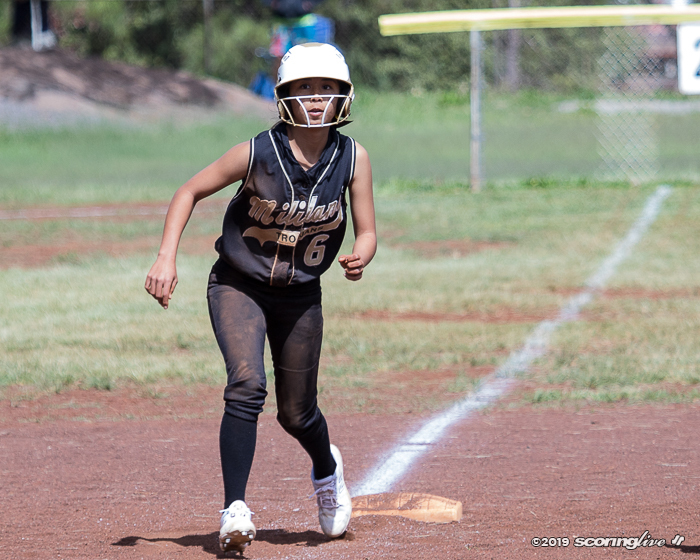 "Serenity did a great job today mixing the pitches, changing speeds. We thought she did a great job. I have no complaints," Antonio said. Jackson's second strike out came at pivotal juncture. 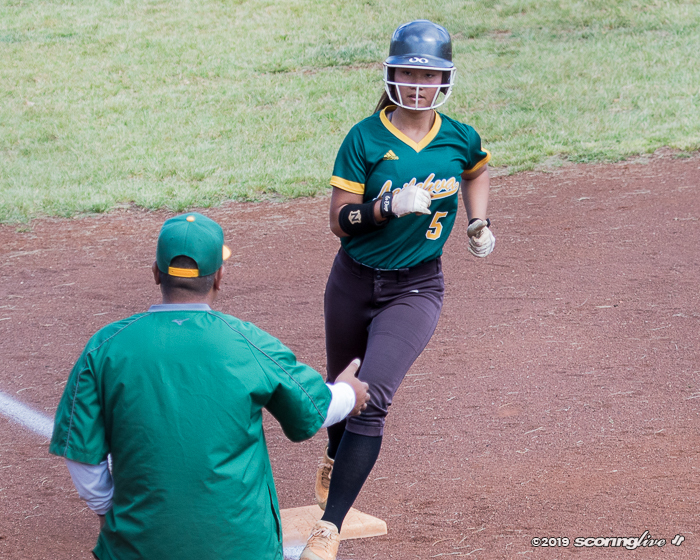 With two outs in the top of the third, Jackson walked Araki, the reigning All-Hawaii Position Player of the Year, to put two Mules on base. However, she came back to get Jarra-Parker to strike out swinging on a rise ball to end the threat. "That was huge for us," Antonio said. 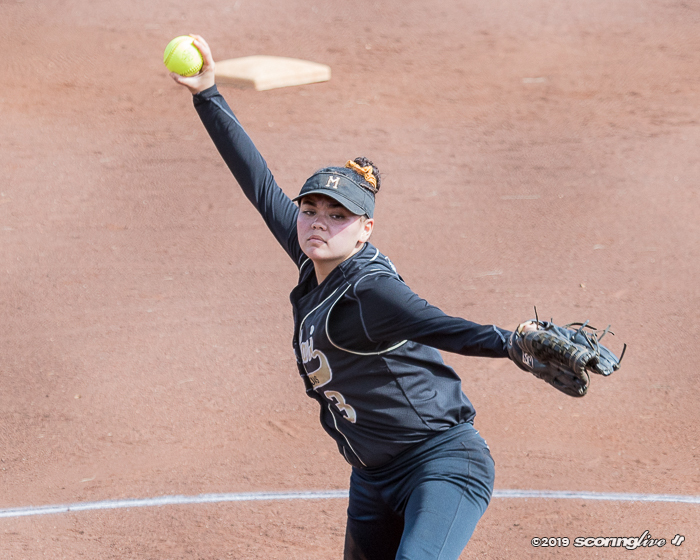 "She's not really a strikeout pitcher at all, but I mean, she mixed it very well and it helped. 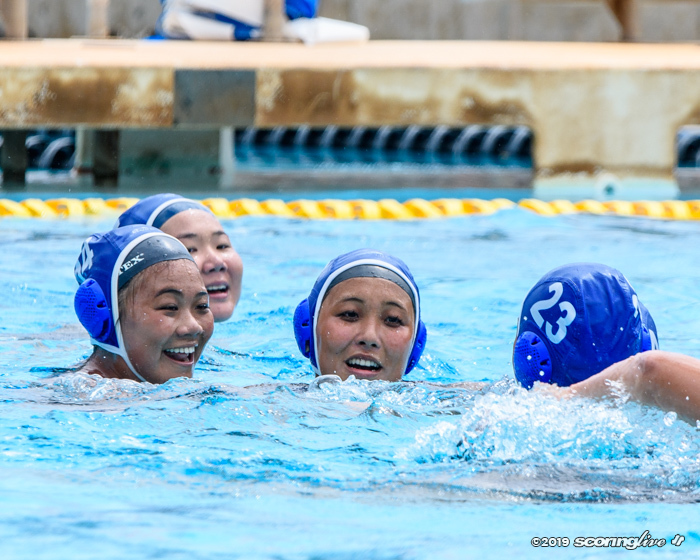 It really helped us." 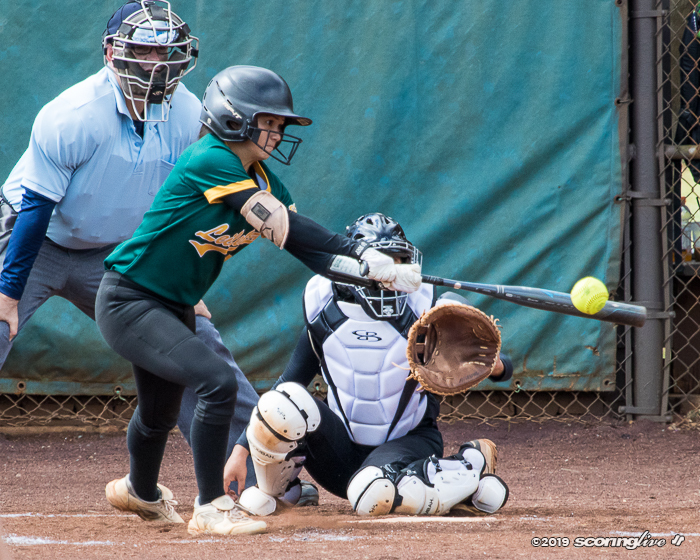 Leilehua cut into the Mililani lead with a two-run homer by Kepaa, her second of the game, in the top of the sixth to make it 10-3, but Jackson got back-to-back unassisted outs from first baseman Brown to strand two runners on base. 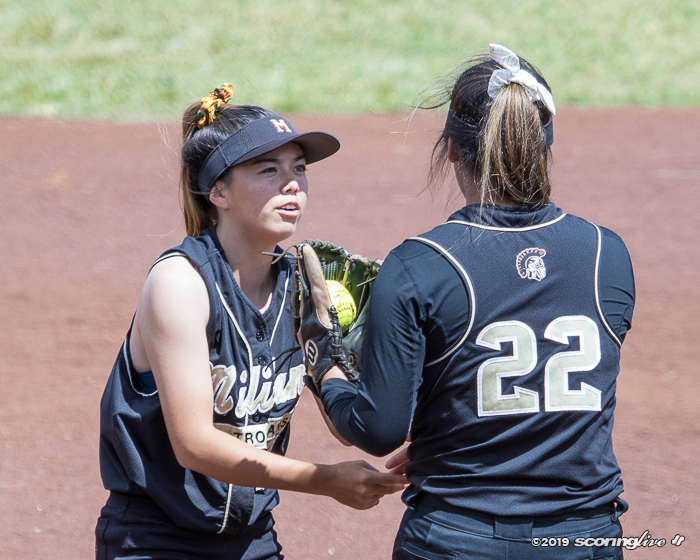 The Trojans added a run in the bottom of the sixth when Rylee Nishimoto reached base with a two-out infield single and eventually scored on a wild pitch by Mules reliever Xaniah Toaiva-Talo, who allowed two hits over 2 1/3 innings of work. 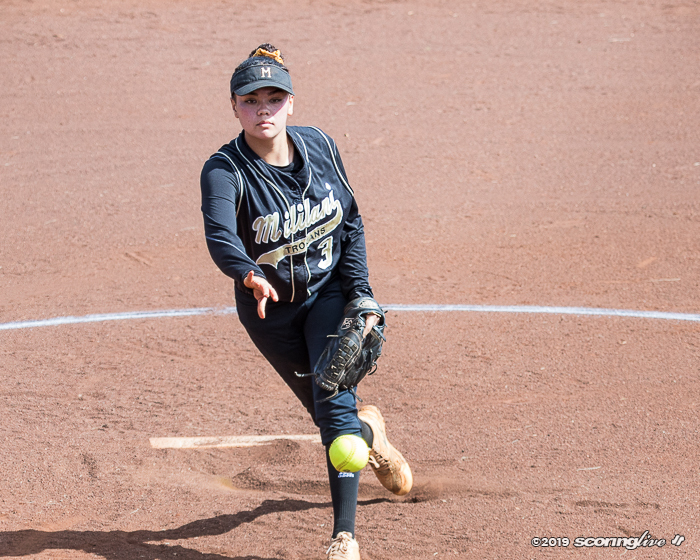 She struck out four batters and walked four. The Mules got the first two batters aboard in the top of the seventh, but the trail runner was erased on a base running miscue for the first out of the inning. 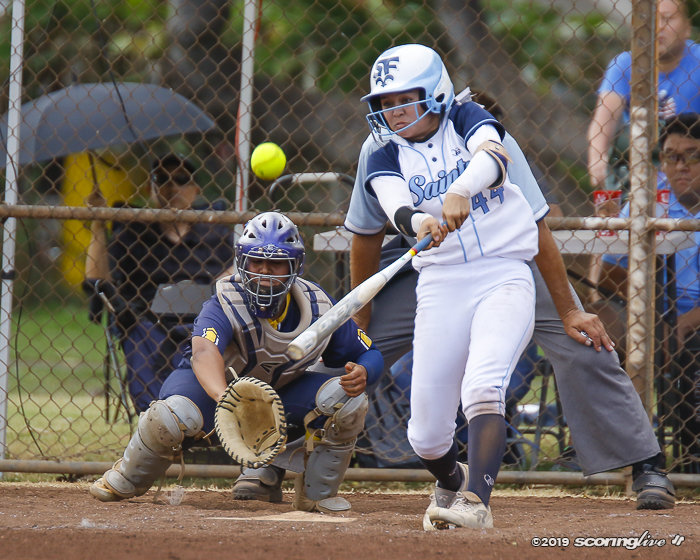 Jackson then got Kiana Domingo to fly out to left for the penultimate out. 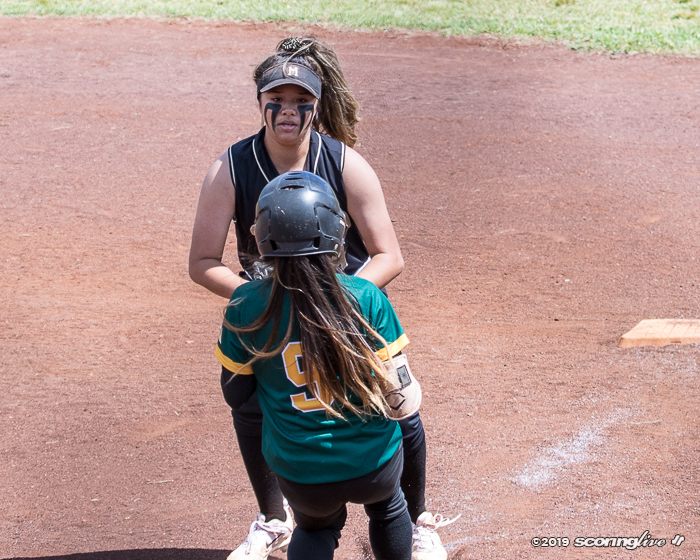 Prior to the next batter — Kepaa — stepping into the batter's box, Tia Dumlao stepped out from behind the plate to address her pitcher. 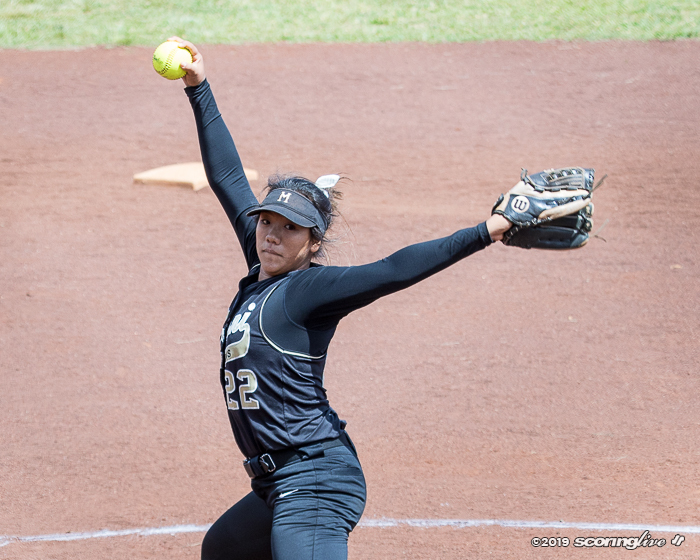 "I told Serenity (to) just keep on doing herself, ‘don't pressure yourself out and just keep on throwing, trust your spin,' because if you're really pressured you feel like you don't throw as (well) and when you're more comfortable you can pitch (well), that's her strength," Dumlao said. 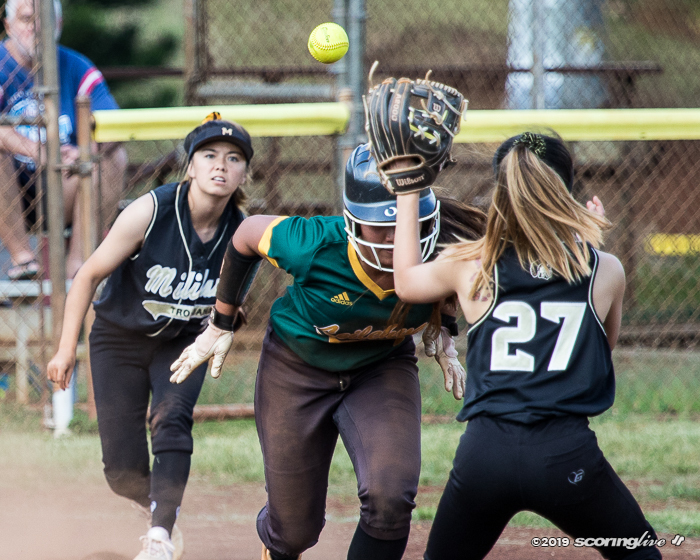 Jackson threw three straight change-ups to Kepaa — the first two for called strikes, the third fouled off — before getting the Mules' No. 6 hitter to ground out to third for the game's final out. "It felt good after she hit the two home runs off me earlier," Jackson said. "She's a really good batter, she's young too, so it felt good." 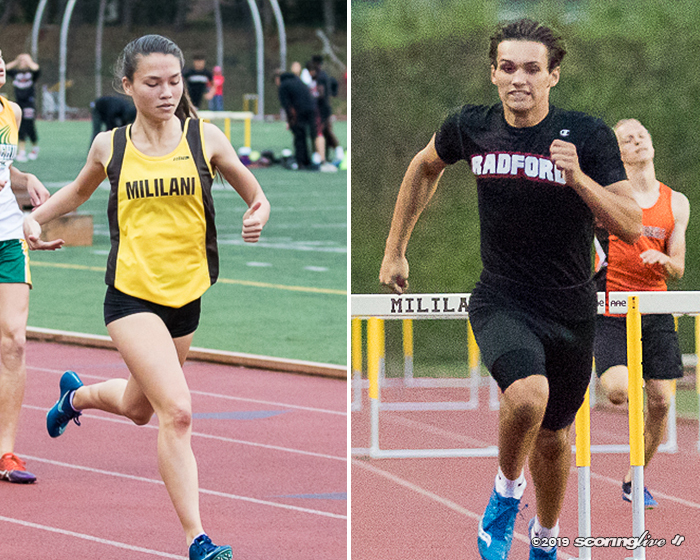 Dumlao said the victory wasn't about getting revenge for the shellacking at states last May. 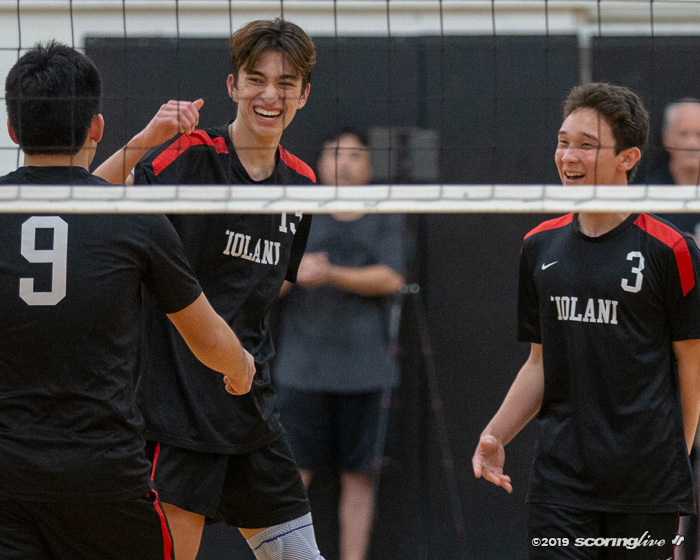 "It's mostly about focusing on our how good our team win and by (beating) Leilehua, the ones who were state champions last year, it makes us feel good and it makes us feel like we're getting better," Dumlao said. 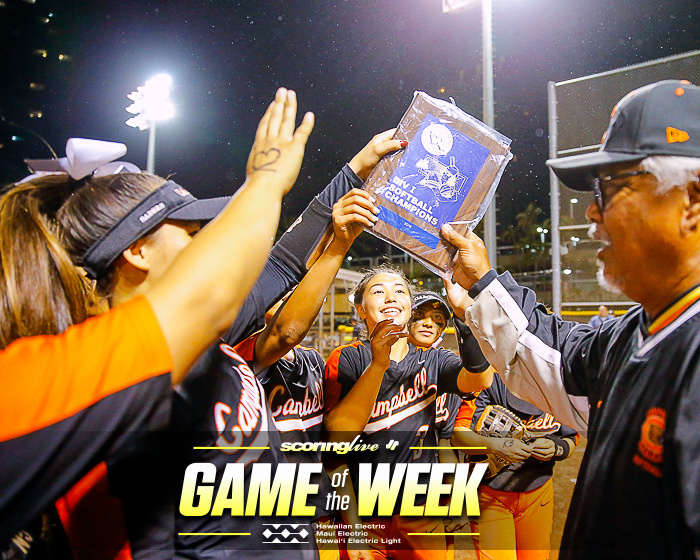 The win pulls the Trojans into a tie with fellow-unbeaten Campbell (2-0) atop the OIA D1 West standings, but Antonio knows there is still a lot of softball to be played. 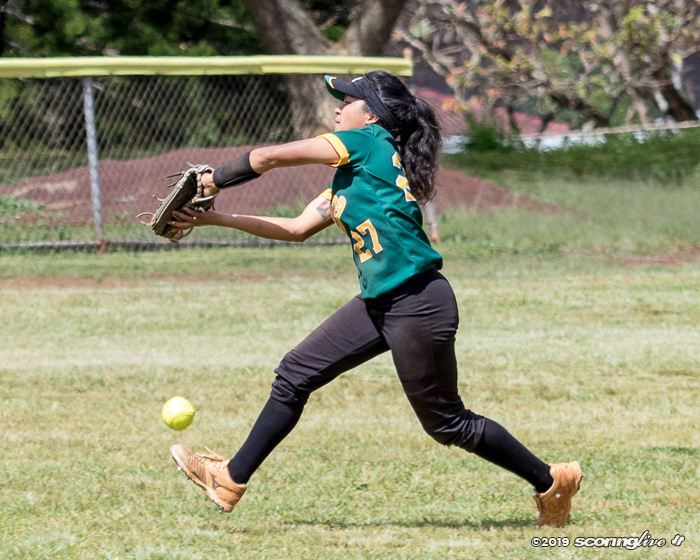 "We put the ball in play today, but Leilehua is a good team," she said. "They're a good team. It's going to be different the next time around." Both teams return to the diamond Tuesday. 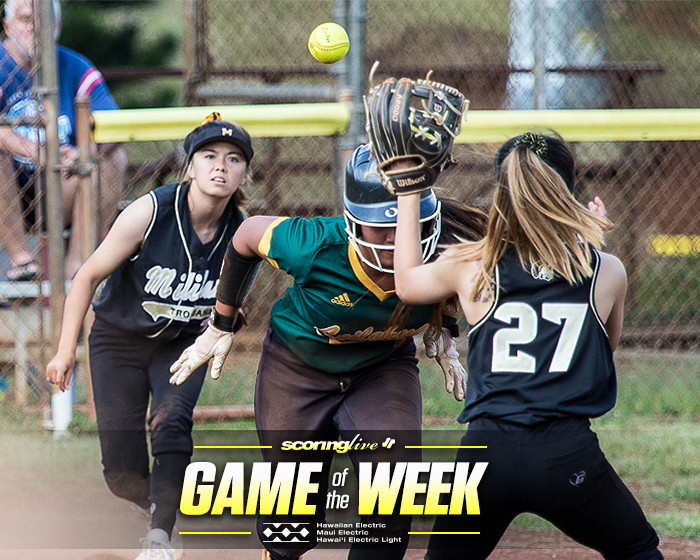 Mililani will host Kapolei (0-2), while Leilehua will look to rebound against Waianae (1-0) at Kaala Elementary.